Considering a Halloween wedding? 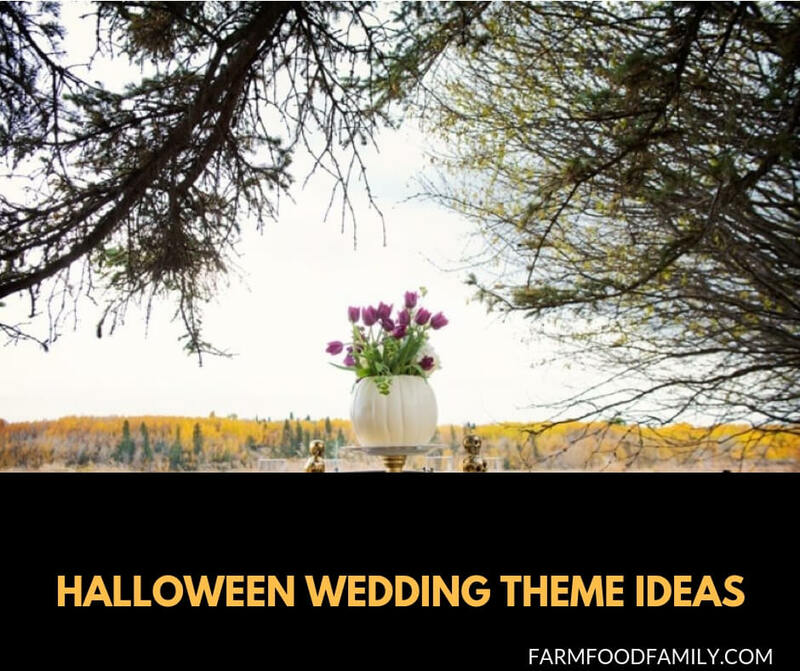 Wedding themes from jack-o-lantern pumpkins to vampires and from gloomy gothic halls to halloween masks are perfect for late autumn. Fans of Halloween can celebrate their marriage in style with a Halloween theme for their wedding. The spookiest day of the year – and the month leading up to it – offers terrific opportunities for festive, creative decorations, amazing bridal dresses, wedding cakes, gothic wedding invitations, and more. The tried and true, classic decoration for All Hallows Eve is the holiday jack-o-lantern. Decorate with carved pumpkins, lit candles, and hold the reception by moonlight – or with the moon in sight through windows – if at all possible. Black roses, orange day lillies or orange poppies make dramatic floral highlights and are perfect for the bride’s bouquet. For the bride’s dress, a slim-fitting black gown with touches of black lace is both eerie and elegant. A black tux with orange or red cummerbund is perfect for the groom – or a Halloween costume for a more casual affair. Vampires are a hot current trend, and what could be sexier than an elegant, black tie, vampire themed wedding? Whether the inspiration is Twilight or True Blood, the vampire wedding theme in red and black is classy and elegant. Light red and black candles around the room. Blood red glass makes a dramatic effect in candle holders and centerpieces. Roses dyed black or blood red are perfect for the bouquet, as a complement to the bride’s dress – a traditional white gown with red details, or a slim black and red lace dress. Decorate the cake in red, black and white. A gothic wedding theme is a timeless classic, and depends almost entirely on the location chosen for the ceremony and reception. Inns and weddings chapels with a rustic, traditional feel and buildings made of weathered stone lend themselves to dark, creepy Haloween décor, low lighting, and elegant glamor. Vintage touches are perfect for this theme, from gothic wedding invitations to the bride’s jewelry and dress. The style should be antique looking, romantic and filled with the drama of gothic novels like Wuthering Heights and Jane Eyre. This is one Halloween event where the wedding cake can be a traditional white confection, in classic, romantic tradition. Last but not least, the masquerade ball or masked ball is a Halloween tradition that easily lends itself to a formal event. The masked ball wedding theme invites guests to dress in their costumed finest, in Halloween masks, full character outfits, and more. This can be a fun, festive celebration with plenty of games and activities to keep the crowd entertained. The invitations can include an elegant domino mask theme, and should inform guests that they are expected to arrive in costume (or in character). Decorate in streamers of blue, gold, purple and bronze – or any vivid color combination – and dress up the reception hall with dazzling centerpieces or flowers of all colors and varieties. The bride and groom should sparkle in their own Halloween costumes.